From the moment you pick up the box, it will be obvious that this tarot is different. 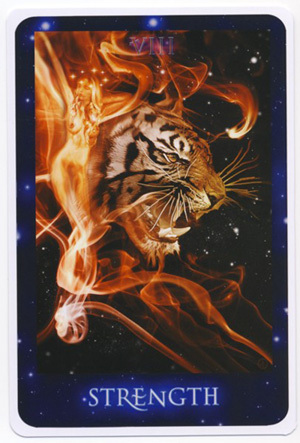 The cover art of a glowing comet descending from a starry night sky sets the stage for this deck, which is based on the author’s channeled awareness that we are children of the stars. In the Sirian Starseed Tarot, the traditional concept of The Fool has been replaced with “Starseed”, the fiery comet representing the divine soul of a light being descending from the stars to experience physical reality on earth as a step on the path of return to divinity. Those intrigued by the concept of the Sirian Starseed origins will want to learn more by reading Patricia Cori’s series of books on the Sirian Revelations, listed on the website at www.sririanrevelations.net and available through amazon.com. However, I found that one of the great strengths of the deck is that it works well regardless of whether or not you are engaged by the principles of the Sirian Council. Even before opening the package you will be impressed with the care and quality in producing this deck. The oversize 4 by 6 inch cards and matching booklet arrive in a sturdy box that will protect the cards well for years to come. I am not a fan of oversized cards, due to the difficulty of shuffling in routine use. One can appreciate the trade-off with the added clarity and impact of the enlarged images. The included booklet fits in the box with the cards, and is well beyond LWB status, with a full-color, glossy cover and well-written material. The metaphysical artist Alysa Bartha has worked with Cori to produce cards of beauty and clarity. The large format and vivid images draw you in, enhancing the intuitive process. I generally do not resonate with photographed people in card imagery, as I find it inhibiting to “placing oneself into the card”. That said, the photography is beautifully done, with images of humans, nature, and objects blended in a way that is natural-appearing and evocative. The card backs show the triangular figure which is the Sirian Seal associated with the Sirian High Council. The names of the Major Arcana cards are the greatest departure of this deck from traditional tarot. The new titles are inspired by the author’s writings of the Sirian Revelations. While “Transition” for Death and “Alchemy” for Temperance are nomenclature familiar in many modern decks, the name “Indigo” for The Magician will seem alien to anyone not up to speed on the Sirian Revelations. (Indigos are described as the new generation of Starseed children). 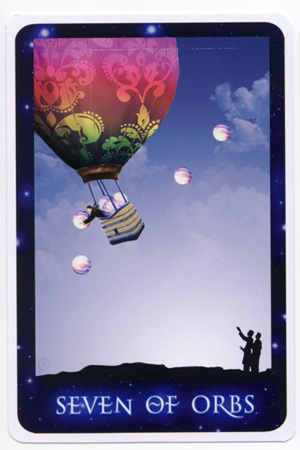 Yet, for the most part, the card significance given in the booklet generally follows traditional meanings. Here, the meaning of Indigo includes focused intent and the art of manifestation, which does not stray too far from the traditional concept of The Magician. Although the introductory remarks in the booklet speak of a departure from the “time-worn archetypes” of the tarot, the descriptions themselves, albeit with new names, actually align with and reinforce the enduring timelessness of the traditional archetypes. However, the descriptions given in the booklet for each card bring a refreshing, updated perspective to the traditional archetypes. I was especially impressed with the excellent job that has been done in weaving the story through each succeeding card of the Major Arcana. The suits of the Minor Arcana also have been renamed. Here, Crystals replace Coins/Earth, Chalices are Cups/Water, Orbs replace Swords/Air, and Flames are Wands/Fire. Here again, the meanings described for the pip cards stick pretty close to traditional meanings. 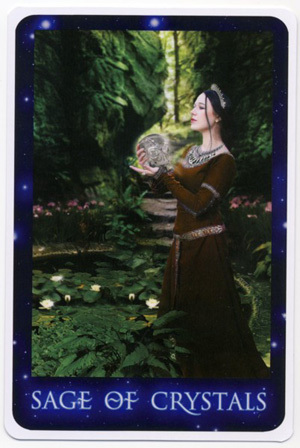 The artwork in many of the cards reflects traditional Waite-Smith scenes (Seven of Chalices for example), although other cards illustrate traditional meanings in an inspiring new light (Three of Orbs for example). 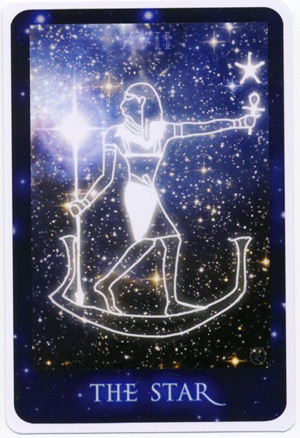 There are no individual descriptions of the court cards, referred to as the “people cards” in the Sirian Starseed Tarot. Although the relative roles of Seeker, Adept, Sage, and Master (corresponding to traditional page, knight, queen and king, respectively) are well-described, we are left to apply the suit characteristics and interpret the images for each member of the hierarchy on our own. I found this disappointing, following on the lovely descriptions given with all the other cards. The booklet includes a recommended spread specific to the Sirian theme. This is a ten-card pattern guided by the key stars in constellation of Orion, with the Sirius star system at Orion’s heel. I gave the Sirian Starseed spread a try, fearing that the layout was a bit too “scattered” to present a cohesive story. However, it read reasonably well. I was especially pleased with the added perspective that seemed to emerge from the three-card Sirius trilogy that sits outside the Orion figure. Certainly, the cards would work equally well in a traditional Celtic Cross spread. On a personal level, I found the photographed people in many of the cards distracting when trying to project myself into those specific cards. I am looking forward to using this deck for on-line readings, where I expect this same characteristic will bring a humanizing aspect to otherwise faceless communication. 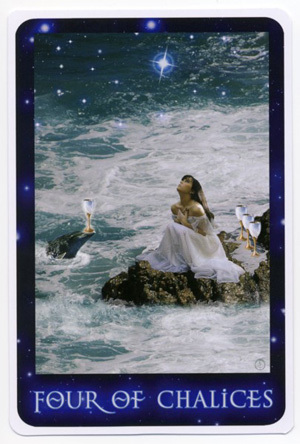 The Sirian Starseed Tarot is a beautiful deck that is intuitively easy to work with. Beginners as well as experienced readers will find it approachable, and an easy transition from other traditional-based tarots, in spite of differing card and suit names. The booklet alone is worth curling up in front of the fire with a hot chocolate, just to muse over the descriptive new insights to our tarot traditions. For those who fall in love with this deck, there is also a downloadable application for iPod and iPad, available on the Sirian Revelations website.